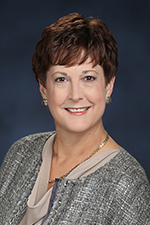 Carol L. Henwood, DO, FACOFP dist, is a board certified family physician at Main Line Health Care Family Medicine in Royersford (Pa.) and a staff physician at Pottstown (Pa.) Memorial Medical Center. A graduate of Duquesne University in Pittsburgh, Pennsylvania, and a 1983 graduate of the Philadelphia College of Osteopathic Medicine (PCOM), she completed an internship and family practice residency at the Hospital of PCOM. 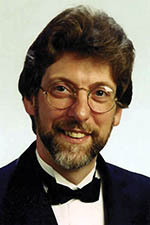 A distinguished fellow and past president of the American College of Osteopathic Family Physicians, Dr. Henwood is past president and an advisor for the Pennsylvania Osteopathic Family Physicians Society and a member of the Pennsylvania Osteopathic Medical Association and the American Osteopathic Association. York Kieren P. Knapp, DO, FACOFP dist, is director of medical education at Memorial Hospital in York, Pennsylvania. Board certified in family medicine, he is also a physician at Jacobus (Pa.) Medical Center. A graduate of Iowa State University and a 1979 graduate of the Des Moines (Iowa) University — Osteopathic Medical Center College of Osteopathic Medicine and Surgery, Dr. Knapp completed his postgraduate training at Memorial Hospital. A distinguished fellow of the American College of Osteopathic Family Physicians (ACOFP), Dr. Knapp is past president of the POMA and the ACOFP. Vice chairman of the American Osteopathic Board of Family Physicians, he also serves as an advisor to the Pennsylvania Osteopathic Family Physicians Society. Dr. Knapp is a member of the American Osteopathic Association, the York County Osteopathic Medical Society and the Commission on Osteopathic College Accreditation. 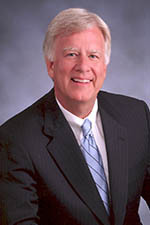 Glenn G. Miller, DO, FACOFP, maintains a private practice in Conshohocken, Pennsylvania. Board certified in family medicine and geriatrics, he is also an attending physician at several local nursing homes. A graduate of Pennsylvania State University and a 1979 graduate of the Philadelphia College of Osteopathic Medicine, he completed his postgraduate training at Parkview Hospital in Philadelphia. A fellow and past president of the American College of Osteopathic Family Physicians, Dr. Miller is past president of the POFPS and a member of the POMA and the American Osteopathic Association.